On June 8th, 1924 George Leigh Mallory and Andrew Irvine leave camp to make the final push towards the summit of the highest peak on the planet, Mount Everest. The two climbers pushed for the summit, but never made it back to camp. Did they make the summit and not survive the night? Did they never make the summit at all? 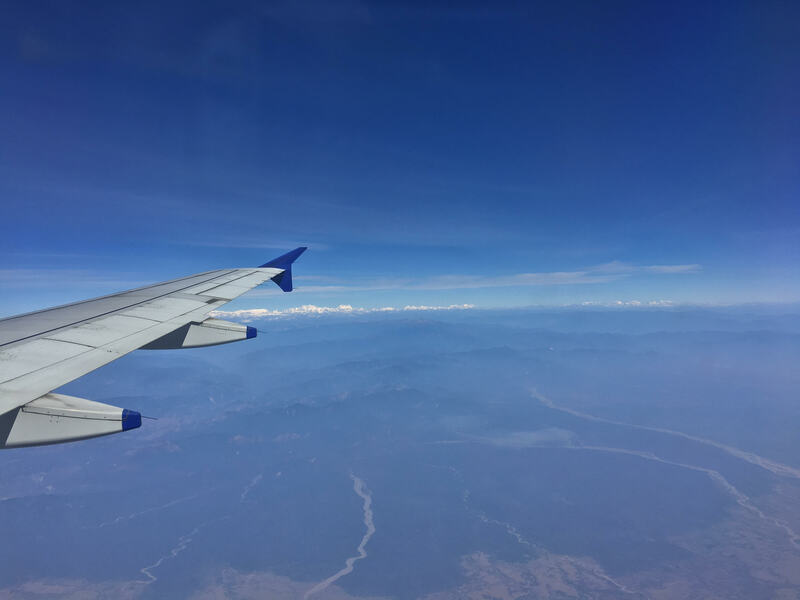 As our team flew into Siliguri, I looked out the window of the plane to catch a glimpse of the Himalayas breaking through the clouds. I had spent much of that flight reading Into Thin Air by Jon Krakauer, a personal account of Krakauer’s 1996 ascent of Mount Everest. I had read this book a few times before in my life, first in the 6th grade. I remember reading the book and becoming obsessed with this behemoth of a mountain and desiring to begin rock climbing (my mom promptly signed me up for private climbing lessons, thanks Mom :) ). The magnificent mountain stands at 29,029 feet, the highest peak on earth, and remains one of the world’s most challenging and demanding feats of human exertion. But as it was for George Mallory, the mountain is deathly. The last year in which no fatalities were reported on Everest was 19773 and an average of 4.8 people a year die trying to reach the top4. The Nepalese call it “Sagarmatha” which translates to ‘Forehead (or Goddess) of the Sky' and the Tibetan people call it “Chomolungma” which translates to ‘Mother Goddess of the Universe'. Everest is cruel and daunting but at the same time glorious and inviting, a looming god amongst hills. As we touched down in Siliguri and made our way by car towards our final destination of Kalimpong, I was awestruck with the scenery and dumbfounded at the reality that I would be a mere 100 miles from that mountain. I wanted to visit it, to see it with my own eyes. I wouldn’t get that chance on this trip, but what I did get was much, much better. So I’ve got you thinking about Everest, now I want to think of something completely opposite. Everest is the tallest mountain on Earth, everyone knows its name. It stands above any other peak on the planet, high above the clouds. Now imagine a slum in India. Imagine along the side of some road, amidst the trash and people and cows and tuk-tuks there is a ditch. And imagine, in that ditch, a group of pigs feeding on the trash and them being covered in dirt and mud. Now imagine, amidst the pigs, amidst the dirt, the tiny frame of a child. What could be more opposite than the highest peak in the world? The lowest of the low, the abandoned orphan in a ditch competing with pigs for some semblance of sustenance (I hope you don’t find this scene too dramatic, this is based on the story of one of the children rescued by Asia’s Hope). On our trip to India, these are the kinds of children we got to sing and play and dance with -- the lowest of the low. The stories of some of the kids would rock you to your core, and the worst part about it? If not for the compassion and courage of Asia’s Hope, no one would know they existed. They would still be lost and abandoned and cold and scared. But God in his providence, through Asia’s Hope, made a way for their rescue. As I watched these kids run around playing soccer on the top of a hill, in a wide open field, I couldn’t help but be stunned at what was happening before me. Children, who were once abandoned or left for dead, playing soccer and loving life with their family and their amazingly loving parents cheering them on and relentlessly snapping photos. At the core of the identity of us as ransomed sons and daughters of God is God’s delight in us. And as God delights in us, so we begin to delight in Him and learn to delight in ourselves as well. These kids are an amazing example of that-- their love and affection for us and for one another each and every day was astounding. They love their lives, they love their family, and they loved us much better than we could have possibly loved us. One morning Jonathan Beyl and I were walking through the garden outside our hotel in Kalimpong. Jonathan was showing me the photos of all the flowers he had been taking on his iPad, and I remarked, “wow, there are so many beautiful flowers here!” “Yeah,” he replied, “all you have to do is find them!”. This is God’s pursuit. So what does any of this have with Everest? One of my favorite quotes of all time comes from the man George Mallory I mentioned earlier. While on a lecture tour, Mallory became infuriated by a reporter who asked Mallory why he wanted to climb Everest in the first place. “Because it is there!” Mallory responded indignantly. In a similar vein, this quote swirled around in my head as we traveled for days to get to Kalimpong. Why are we going? Why does Asia’s Hope exist? Why does Scarlet City Church care and support this home of kids? 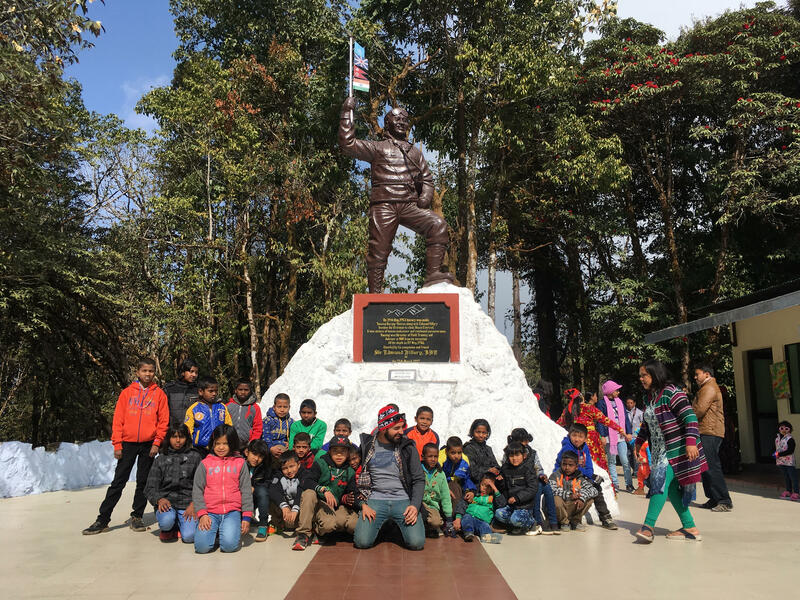 I went to India truly (and selfishly) hoping to get to see Mount Everest and to experience some kind of a ground-breaking, breath-taking moment staring at the snow covered mountain. What I got (thank God) was the chance to have my paradigms of contentment and compassion shattered by a group of beautifully, wonderfully, and eternally delighted in children who just wanted to hold my hand, play soccer with me, and see how many of their names I could remember. Though the world may find glory in Everest and the chance to conquer, we, the Church, find glory in the image-bearing, children of God and the opportunity we have to participate in their rescue and redemption. Praise God for the work of Asia’s Hope, and thanks to Scarlet City Church and everyone who supported my trip for allowing to get a taste of it in Kalimpong. 1 Krakauer, Jon. Into Thin Air. New York: Anchor, 1999. 16. Print.